Your last name initials are sure to make a statement on this custom beverage tumbler. 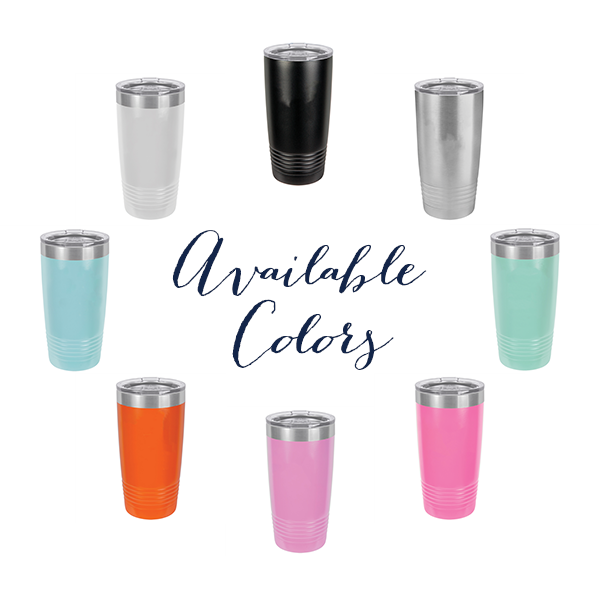 Drink in style with these personalized insulated cups! Double wall, vacuum insulation, keeps cold drinks cold, and hot drinks hot.